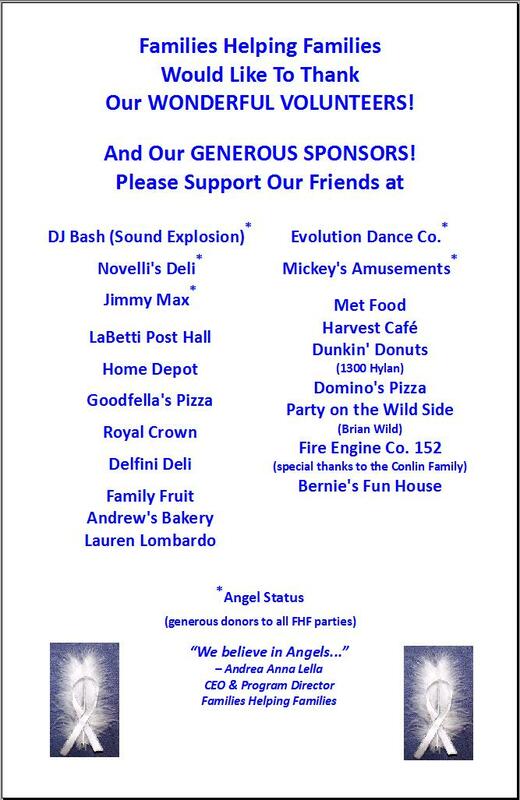 Families Helping Families would like to extend our sincere appreciation to the many local businesses, families, and friends in our community who so generously donate their time, services, and financial support throughout the year to enable FHF to organize our Family Fun Events for the special needs community on Staten Island. We would also like to give a special “thank you” to our very dedicated and loyal high school and college volunteers who make all of these events such a success!! 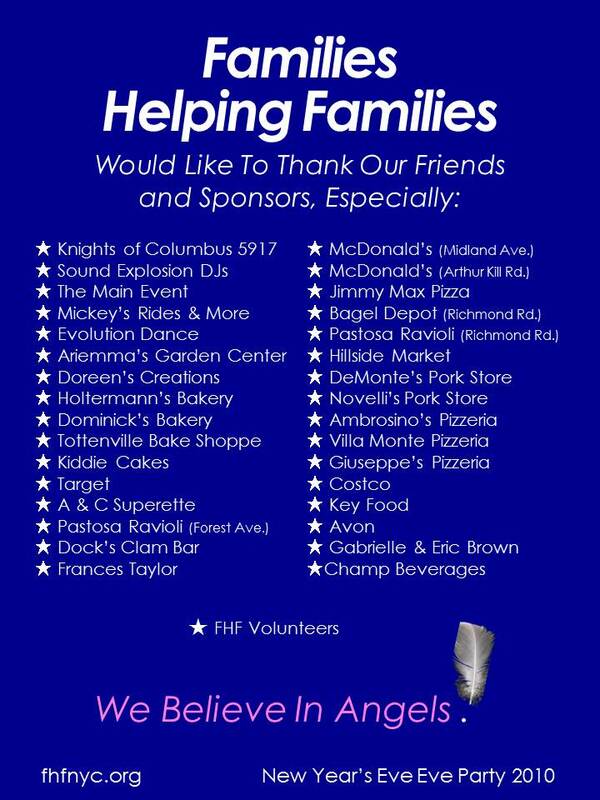 At Families Helping Families, we truly do Believe In Angels - thank you for your overwhelming support! 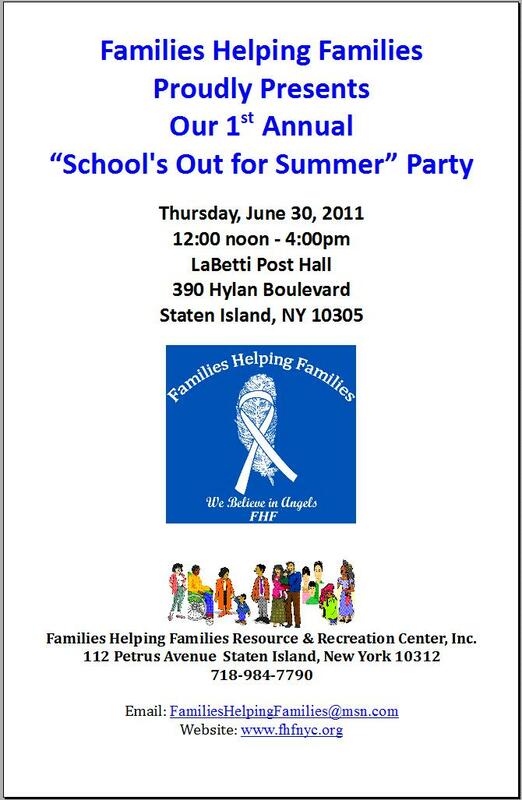 Mickey’s Rides & More, Inc.
Italian Club of Staten Island Foundation, Inc.